Peel the kumara and grate them onto some paper towels, cover with additional paper towels, press firmly and leave to dry out for about 10 minutes. Finely chop the red onion and crushed garlic. Mix the kumara, red onion and garlic in a large bowl. Season with plenty of sea salt, ground pepper and cayenne pepper to taste. Preheat your BBQ to a medium to high heat and add oil. When the bbq and oil is up to temperature place your kumara mix on, be sure to continually turn the kumara to ensure even cooking. Don’t let it get too crispy just yet, you want a nice even golden colour. On the BBQ separate the kumara into 2 portions and shape into flat circles or squares about 1 to 1.5cm high. Pressing the kumara with a couple of spatulas will ensure that they hold their shape. Flip a couple of times to make sure they don’t fall apart. Use a spoon to create a yolk sized well on the top side of each of your kumara hash and carefully crack and egg into each one. Lower the heat on your bbq and close the lid. The egg might take a little while to cook as it is essentially just steaming, so after 5 minutes check the progress regularly until the whites are just cooked. 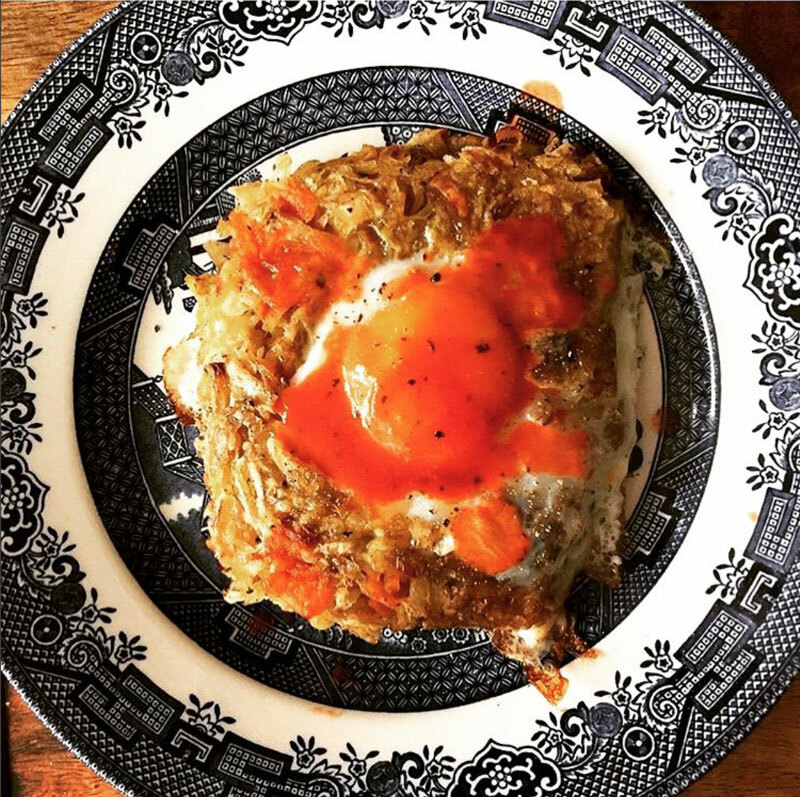 When the eggs are to your liking, serve up with a generous helping of Huffman’s Hot Sauce and enjoy! The base of your hash should be crispy, the center soft, and the egg yolk runny and delicious. Replace red onion with spring onions. Replace garlic and salt with garlic salt. Everything is better when it’s BBQ’d, but if you don’t have a BBQ you can also cook this in a frying pan with a lid on the stove top.